Aristia stamped herself as one of the leading contenders for Thursday’s VRC Oaks for fillies after breaking her maiden in the Group Two Wakeful Stakes (2000m) at Flemington on Saturday. Aristia will be striving to give the Ellerton-Zahra team its first Group One win since Response’s Robert Sangster Stakes victory in Adelaide in 2011. “We haven’t hit the scoreboard in the Group Ones for a while,” Zahra said. “We’re also sort of more known as sprinter-miler sort of trainers, so to get a staying Group One under the belt would be a good achievement for us. 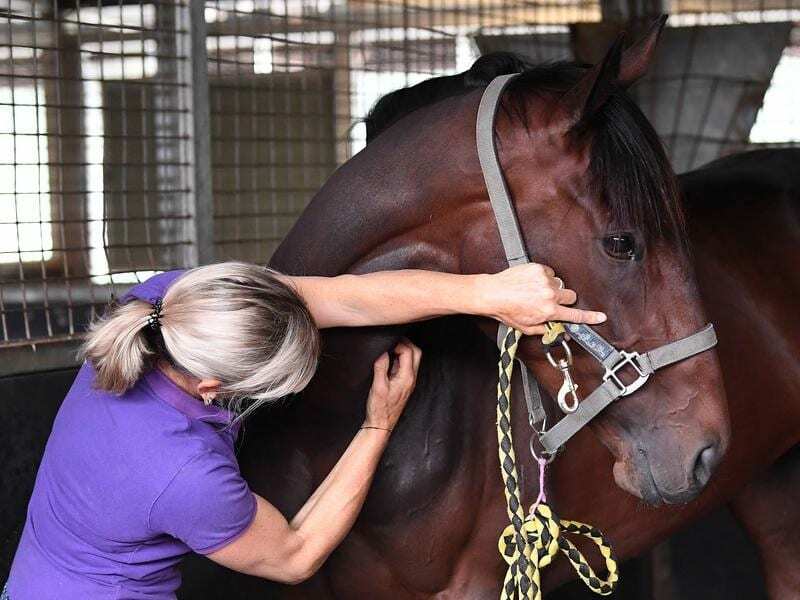 Last month’s Thousand Guineas (1600m) had initially been the long-range aim for Aristia but Zahra said as time went on it became apparent the filly was looking like she would appreciate getting to 2000m. “She pulled up extremely well after the Wakeful and on Monday morning I think she looked better than she did on Saturday,” Zahra said. While staying the Oaks distance remains a query, Zahra said he loved the way Aristia “went to sleep” with cover in the Wakeful and believes she should get every chance from barrier four. “We sort of brought Damian over as an apprentice and he’s grown and turned into a superstar jockey,” Zahra said.